EDIT 2018: CHECK DATES FOR 2018 HERE. In case you missed the news back in July 2014, every first Sunday of the month all State-run museums in Italy are free! For everyone!! All over Italy, not just Tuscany. It’s a great initiative to get more people (particularly locals who sometimes seem immune to the beauty they have been surrounded since birth ;-)) interested in culture and visiting museums, as well as archaeological sites and smaller, lesser-known museums. Unfortunately, it also means that the more popular museums, such as the Uffizi and Accademia in Florence, get even more crowded than usual. While the Polo Museale in Florence for the first few months allowed this date to be pre-booked online, back in November 2014 it decided it wasn’t really fair for those who didn’t (or couldn’t) pay the prebooking fees (even if entrance is free, prebooking had its costs). So it is no longer offering ANYONE the possibility of getting through the “advance” ticket entrance, making EVERYONE wait in line on this free days. It is important to note that the only one who can skip the line are those that buy the Firenze Card and its validity is active over the first Sunday of the month. 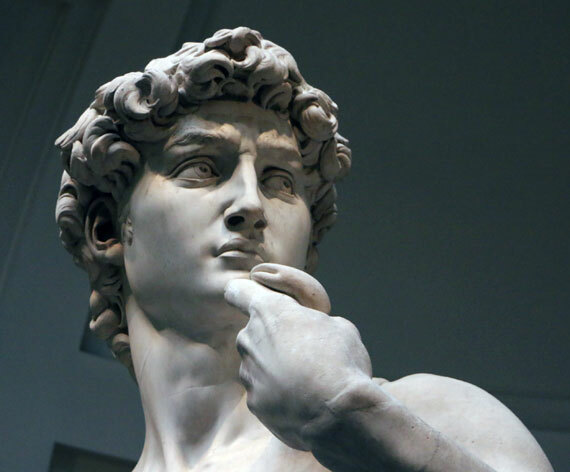 So make a note of this as you plan your vacations this year: if you’re in Florence on the first Sunday of the month and it is the only day you can visit either the Uffizi or the Accademia, get there early!! So for 2015, the first free entrance is this Sunday, January 4th (make a note that on Monday, January 5th, both the Uffizi and Accademia will be open! Since January 6th is a national holiday, they have chosen to have a special opening this Monday since Mondays are their weekly day of closure). I highly recommend taking advantage of this opportunity, visiting the minor State museums where you’ll find less crowds, and just paying for the Uffizi and Accademia by visiting on another day if possible (and definitely pre-booking tickets from May onwards). If you’re in other parts of Tuscany, take advantage! Here’s the full list of State-run museums in Tuscany. Museum of Palazzo Vecchio (9am-7pm), **Arnolfo Tower (entrance every half hour between 10am and 5pm, last entrance at 4.30pm), Complex of Santa Maria Novella (1-5pm), Stefano Bardini Museum (11am-5pm), Fondazione Salvatore Romano (10am-4pm), MuseoNovecento (10am-8pm), Brancacci Chapel in Santa Maria del Carmine (entrance every 30 min between 1.15pm-4.45pm, last entrance at 4.15pm). Make note that you still have to stop by the ticket offices to pick up a free ticket, and those close an hour before the museums close. Some of these museums offers special guided visits or tours, but you do have to reserve those. If interested, check out www.musefirenze.it.